Sudbury has long been associated with hard rock mining, especially nickel at the INCO mines in the area. Copper is another significant mineral in the ore bodies here, while smaller amounts of gold and other minerals are also mined, however the biggest gold mining is found much farther north. Provincial Land Surveyor A. P. Salter is credited with the first discovery in 1856 of iron where Creighton mine is today. Analysis showed iron ore as well as nickel and copper. This information was of little use at the time and it wasn't until the Canadian Pacific Railway built through the area in 1883 that further attention was given to the presence of the ore.
Beginning in the spring of 1884 prospectors began their frantic activity throughout the region. The first mine was established October 1, 1884 by Thomas Murray although it was soon sold out to H. H. Vivian and Company, Swansea, Wales, which began mining and established a smelter in 1889. In 1885, prospector Thomas Frood located a property that was to become Copper Cliff mine. It was here that the first serious mining began and the first to ship ore. The region's first smelter was established nearby, beginning operation December 24, 1888. Incorporated in 1886 with S. J. Ritchie as president. Ritchie had been involved for some time with the Central Ontario Railway, built from Picton to Trenton and thence northwards to iron ore deposits at Coe Hill. This ore proved to be unsuitable for use, causing Ritchie to turn his attention towards the Sudbury area where he secured several properties, including the Copper Cliff mine. It was the beginning of the Canadian Copper Company, which ultimately became INCO. While processing ore at the Orford Copper Company's works at Constable Hook, New Jersey, in 1887, it became clear there was a significant nickel content. At the time, nickel was of little value, having no demand. This was soon to change! Canadian Copper generated its own electricity at a hydro plant at High Falls on the Spanish River, to the west of Sudbury and operated by Huronian Power Company. Huronian also owned two rail lines, one ran from Turbine, 28 miles west of Sudbury on the CPR's line to Sault Ste. Marie, north to High Falls. Another CCC line ran from about Mile 21, north to Crean Hill mine. Both this and the High Falls line were first operated by the CPR, until 1912, when the new Algoma Eastern arrived at Turbine. CCC favoured the AER's competition, with it taking over operation of the High Falls line. 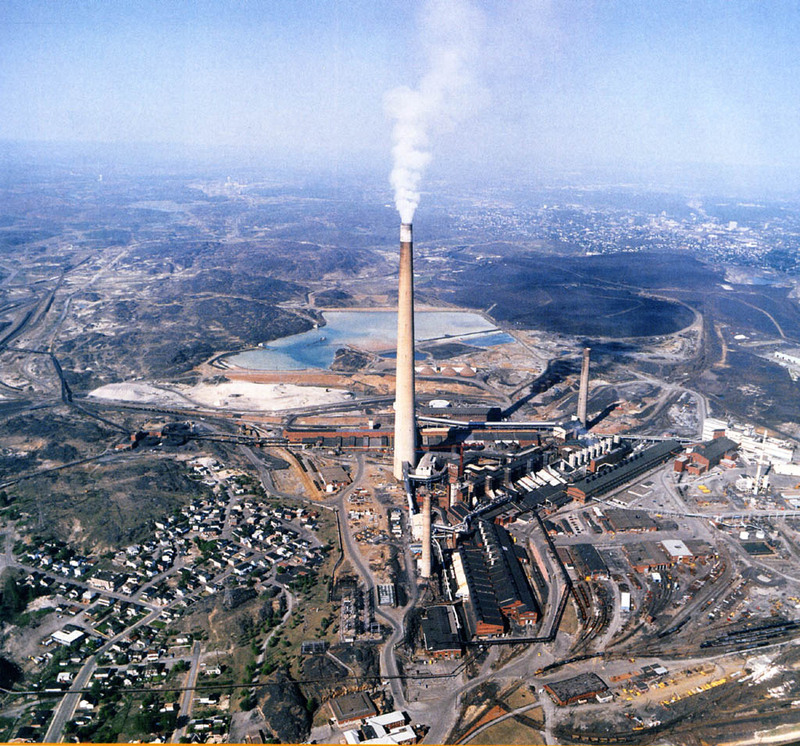 CIL once owned a plant in Copper Cliff that produced sulphuric acid from the sulphur dioxide in smelter exhaust. INCO later bought the plant. White exhaust is typical of a cold engine startup. It became INCO 203 in 1984. Incorporated in 1889, it owned the Worthington mine, which began in 1890, and the Blezard mine and smelter, at the end of the CPR Stobie spur, which began in 1889. Operations ceased in 1895. One of the divisions of the industrial empire headed by Francis H. Clergue of Sault Ste. Marie, it was involved in hydroelectric generation, pulp and paper making, iron mining, iron and steel production and railways. One of the railways, the Manitoulin & North Shore (later Algoma Eastern), originated in Sudbury and was built through the Nickel Belt on the way to Little Current on Manitoulin Island. Lake Superior Power required sulphur, found in abundance in the Sudbury ores, for use in the manufacture of wood pulp, and nickel for combination with steel products. 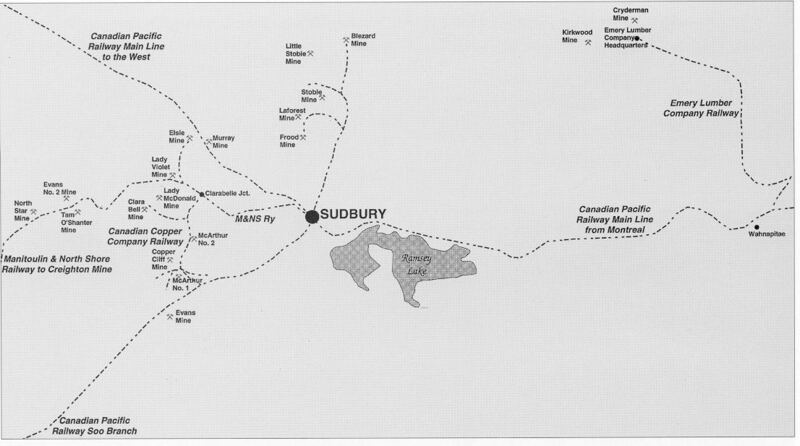 To these ends, in1899 the Gertrude Mine, 14 miles west of Sudbury on the MN&S, was purchased, along with the Elsie Mine situated close to the Murray site and also to the MN&S. 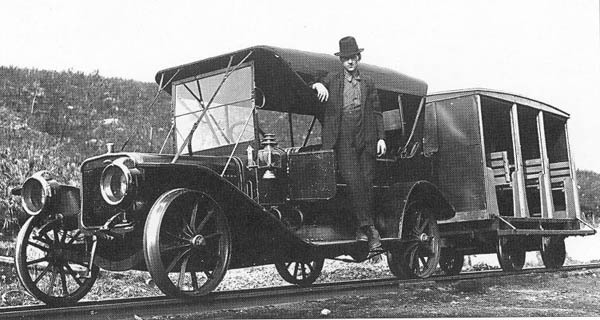 On its way to Gertrude, the railway served Canadian Copper's Creighton mine and Clarabelle; the new northern access point for the Copper Cliff smelter complex. Financial difficulties for Lake Superior and the whole Clergue empire, and opposition by American interests headed by J. P. Morgan who did not want competition in the new nickel-steel which was coming into use for armour plating of US warships, brought about the end of all operations by 1903, except the railways. One of the few companies to operate a "railway" named as such. Inco, the biggest, simply operated using its own corporate name, as did most others. Notable for the potentially rich ore properties it owned; Murray mine, the area's original discovery, and Whistle mine, northeast of Sudbury almost at Lake Wanapitae and served by a spur line to the Canadian Northern main line, 4.4 miles west of Capreol. This spur line was the Nickel Range Railway. 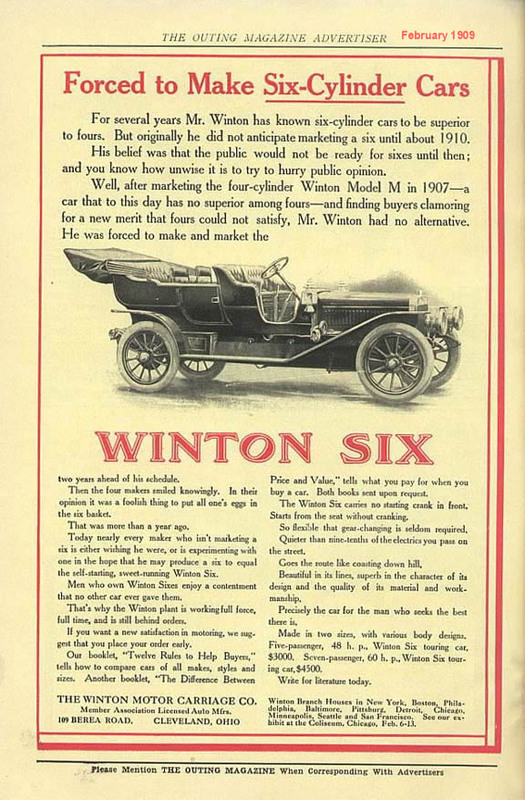 Sold 1912 to BANC (see below). Controlled by the British government, its president was (Sir) James Dunn of the Algoma Steel Corporation. BANC began in 1912 by purchasing the properties of Dominion Nickel-Copper along with a patented smelting process it owned. 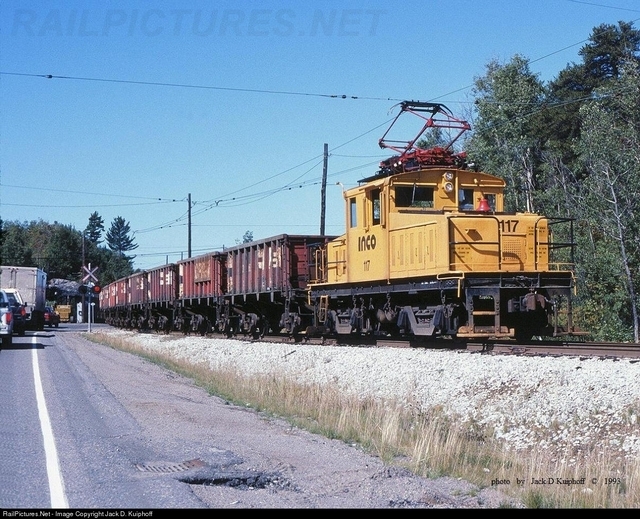 The Murray mine was the site chosen for a large smelter, they were served by both the CPR and the little Algoma Eastern. Named Nickelton, its primary purpose ended when war ended in 1918, not long after the smelter got going. Armour plate was no longer needed; nickel had become a glut on the market. In 1921 all operations were closed down and later sold off, mostly to International Nickel. A refinery had also been built at Deschenes, Quebec, where a sufficient supply of hydro electricity was immediately available. 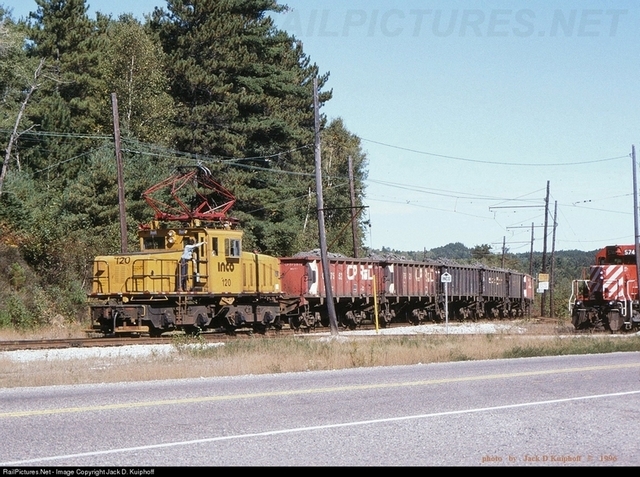 Located at Sellwood, about 15 miles northwest of Capreol, it was reached by a short spur off the Ruel Subdivision of Canadian Northern's mainline to Foleyet. 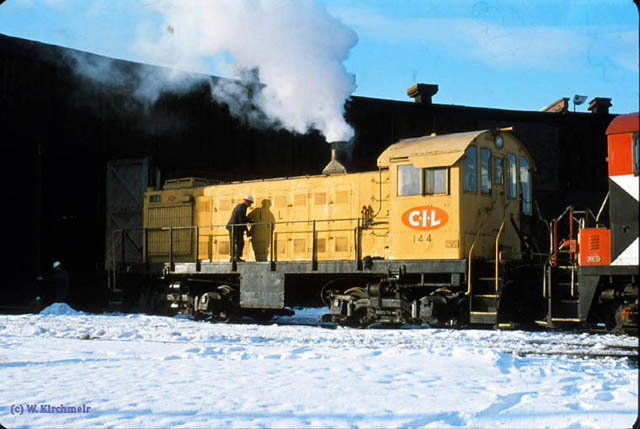 It was controlled by Mackenzie and Mann, Canadian Northern's developers. It was both an underground and open pit mine operating between 1901 and 1920. A small crushing plant was shortly replaced by a concentrating and briquetting plant. Ore was shipped to Key Harbour on Georgian Bay. Following its closure in 1920 the company town remained into the 1950's. 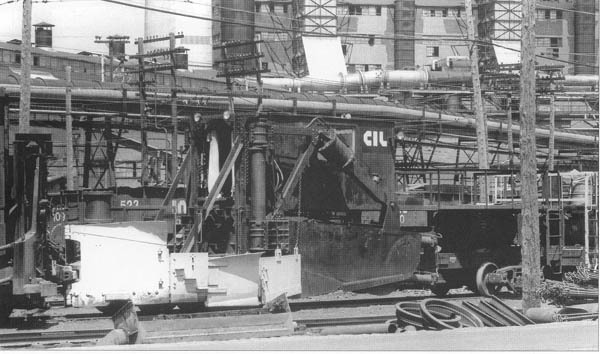 Between 1954 and 1956, Lowphos Ore surveyed and drilled properties around Sellwood and then began construction of a processing plant. In June 1959 they began shipping processed ore and by 1963 had created a palletizing plant with a 600,000-ton annual capacity. Canadian National relaid track to the mine utilizing mostly the original roadbed. Ore was shipped out to Depot Harbour on Georgian Bay for transhipping to lake boats for shipment to National Steel Corporation, owner of the operation. It closed again in the mid-1970's due to the declining steel industry and once again track was pulled up. Canadian Copper required its own refinery and in 1902 International Nickel Company of Canada Ltd. was formed with Canadian Copper and Orford Copper becoming subsidiaries. The arrangement ignored the possibility of refining nickel (the next step after smelting) in Canada. This did not sit well with Canadians. Particularly upsetting was the 1916 voyage of the German submarine Deutschland carrying Canadian nickel back to Germany from the then-neutral United States for the war effort against, among others, Canada. Reluctantly, International Nickel gave in and in 1918 built a new refinery in Port Colborne. and is heading back to the mines with emptys, at Lavack, ONT. 9/16/1993.